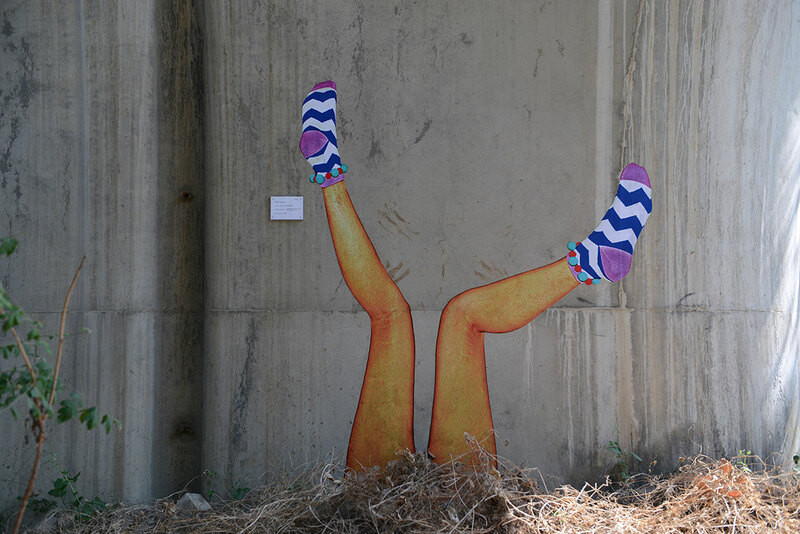 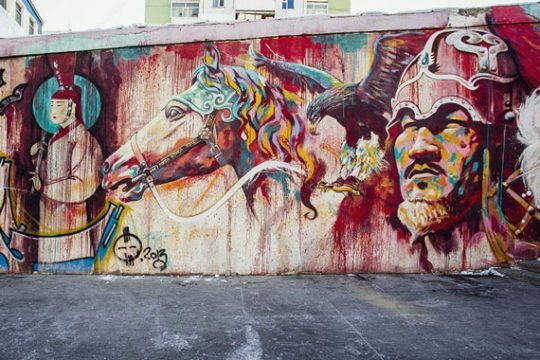 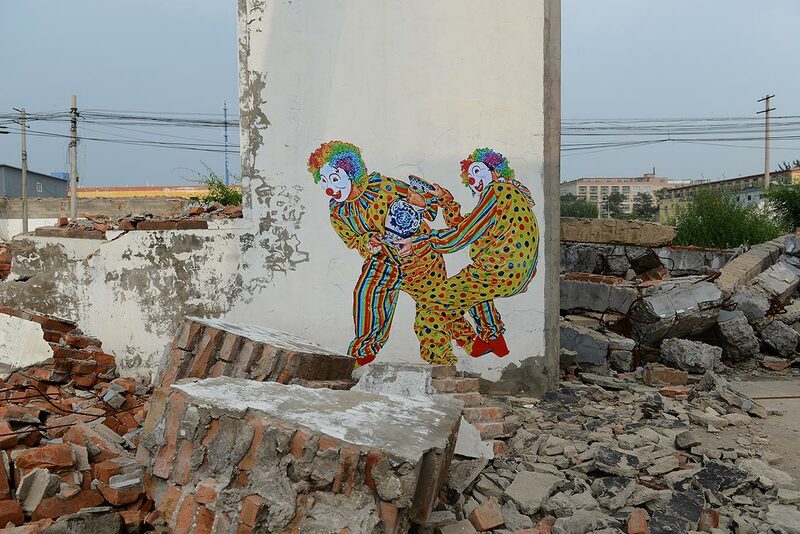 ROBBBB is a Chinese street artist who’s risen to acclaim in the world of contemporary art over recent years. 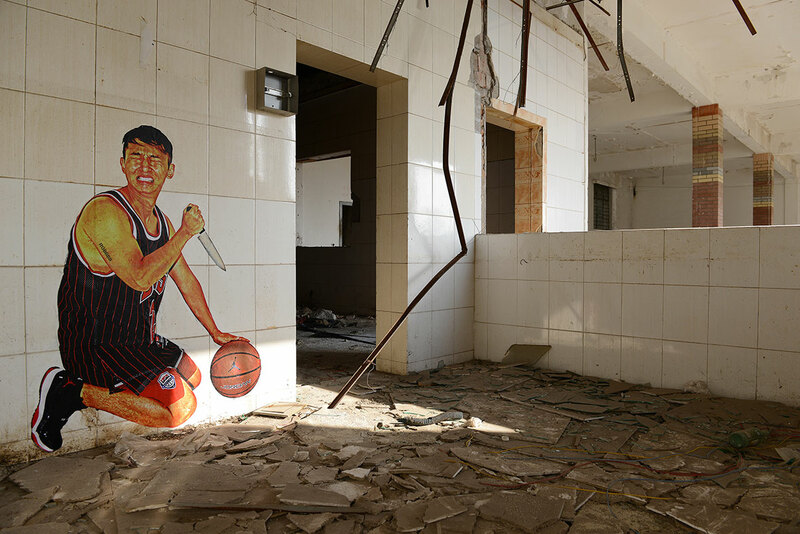 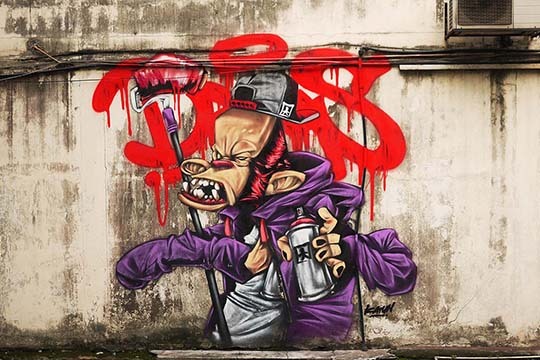 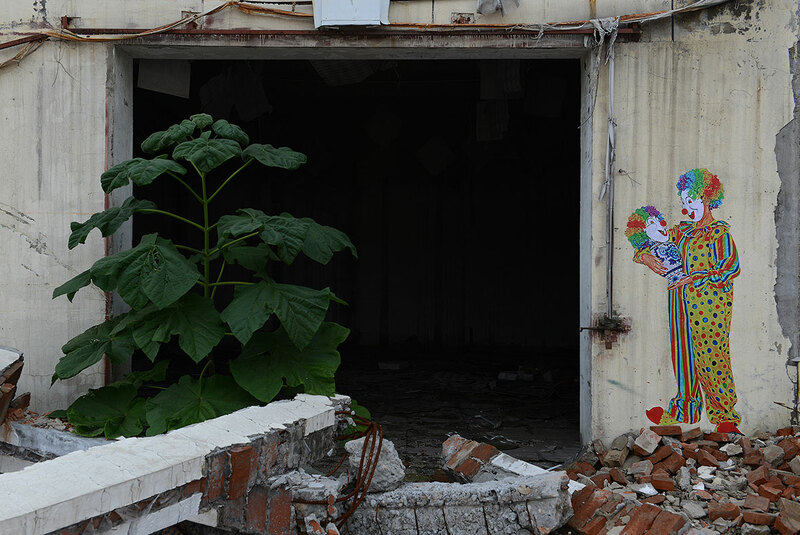 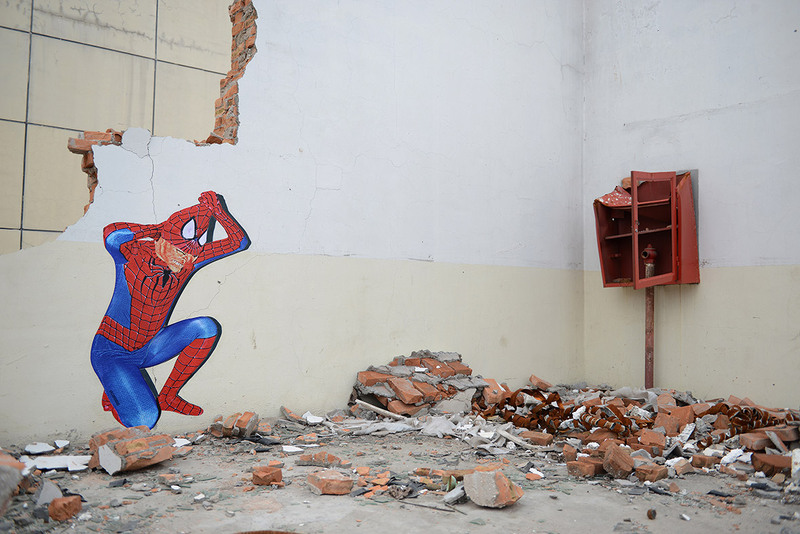 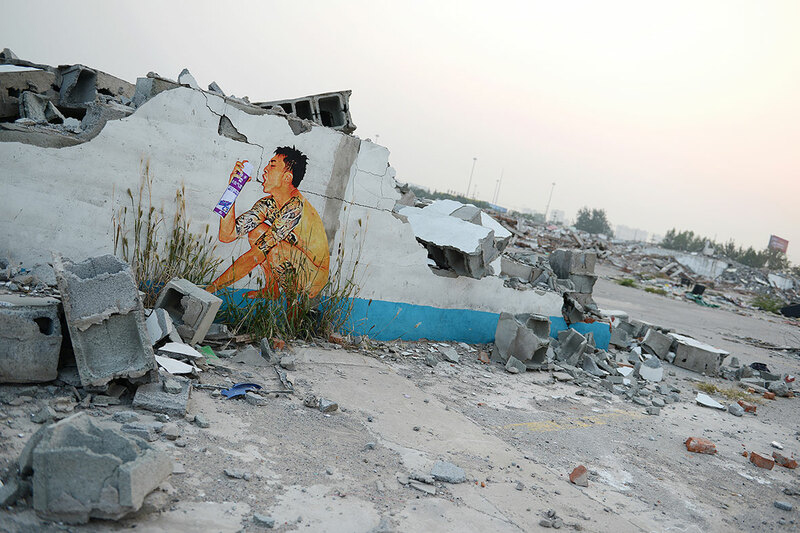 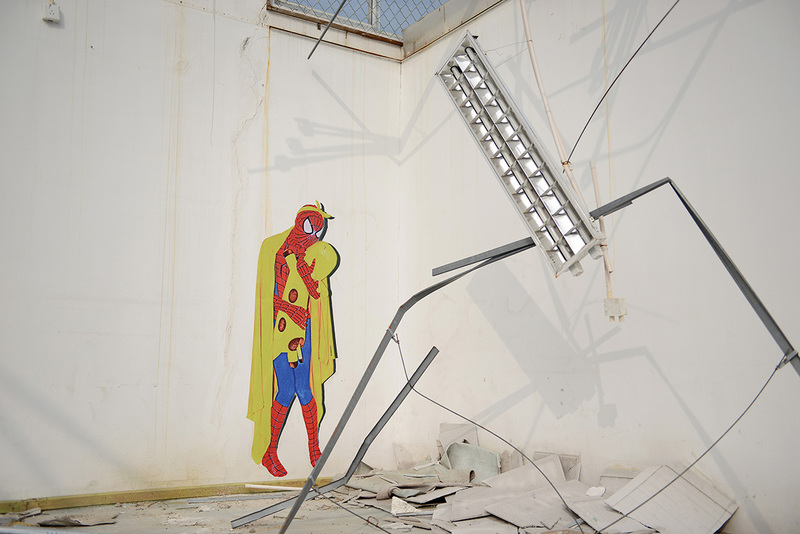 Based in Beijing, the young artist is best known for the life-sized characters he wheat pastes on abandoned buildings and in half-demolished neighborhoods. 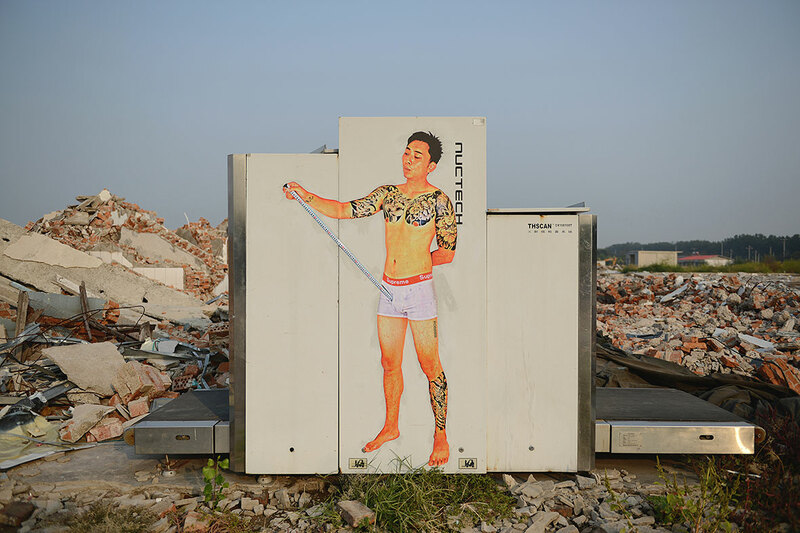 His work satirizes the contradictions of our modern lives and the darker aspects of human nature. 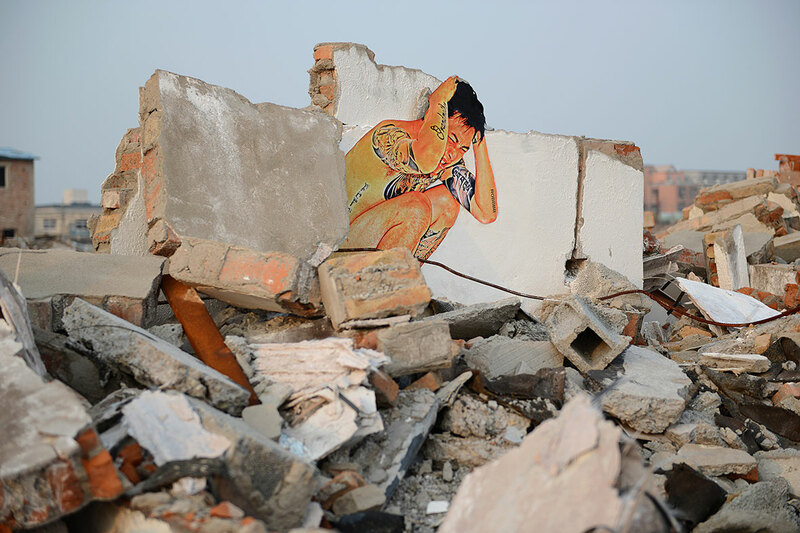 Anxiety, hostility, distress, and fear – topics that many people would rather turn a blind eye to – are common throughout his work. 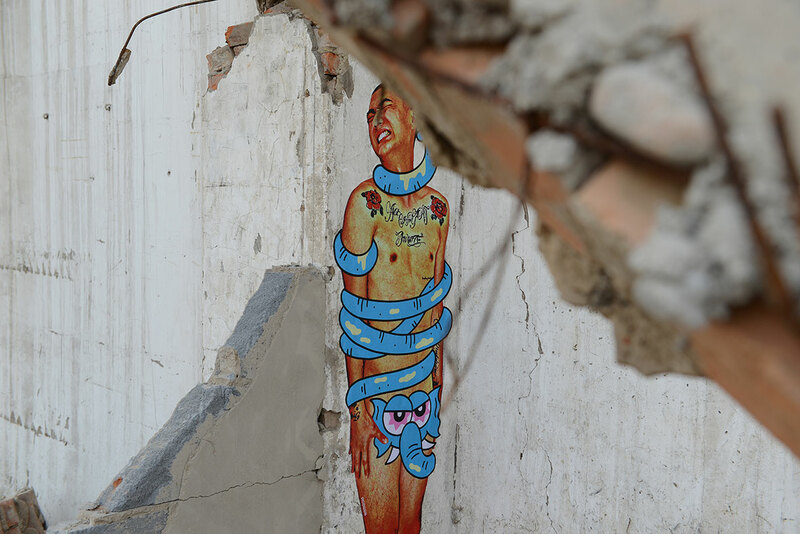 Born in 1990, the young artist believes much of his art stems from his misunderstandings of society, or to be more precise, his subjective misinterpretations of an objective reality. 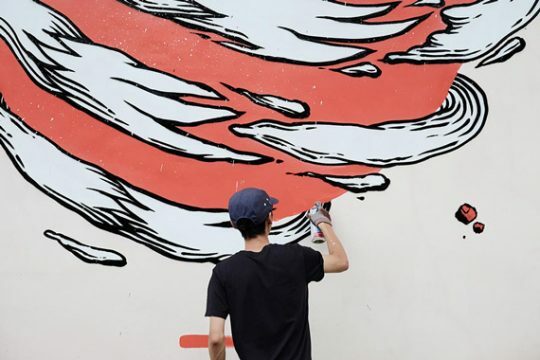 But this a point of pride for ROBBBB – he sees misinterpretations as being channels through which art and creativity can manifest and thrive. 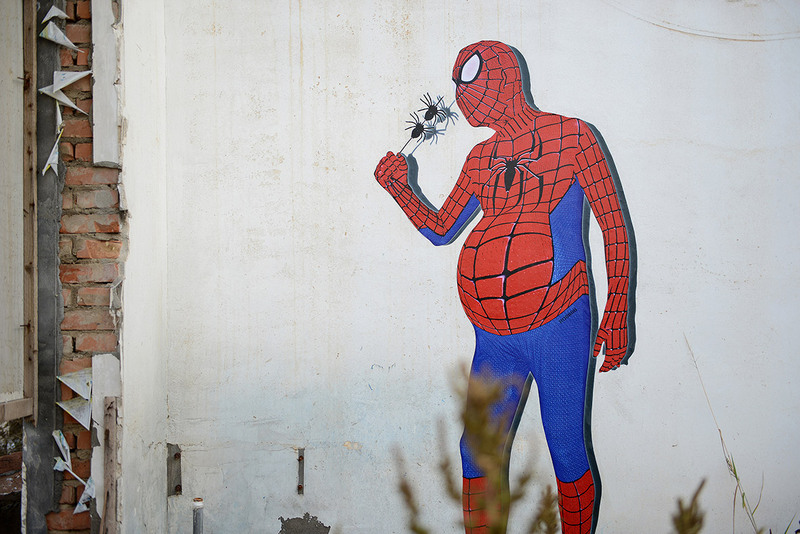 From a pot-bellied spiderman eating skewered spiders to clowns fighting over Chinese porcelain, the farfetched imagery ROBBBB incorporates into his work is ultimately a way for him to force viewers to contemplate on the absurdities of our everyday reality.